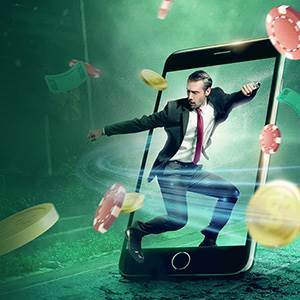 The online casino Vegas Hero, one of several casino brands from the Genesis Group Ltd, is offering first-time depositors an opportunity to win a grand prize of a brand-new iPhone XS. There is a consolation prize of one of nine €100 cash prizes. This is in addition to the welcome deposit bonus of up to 100% on the first deposit, up to €200. The welcome bonus is optional, so you can decline it if you wish. To avail yourself of the Vegas Hero promotion, your 1st promotion must be €20 with the following bonus code: VHOPTRAF. You'll need this code to opt in and collect a ticket for the prize draw. Each additional €20 (equivalent) gains you an additional ticket, which is unlimited. Any cash prizes are not subject to any wagering requirements. You can click here to see the general terms and conditions. Sign up and make your first deposit for an iPhone XS Draw! Vegas Hero casino was first established in 2017, and is licensed and regulated by the UK Gaming Commission, Spelinspektionen in Sweden and the Malta Gaming Authority (MGA). They have over 1,300 games from developers that include, but not limited to, Red Tiger, Thunderkick, NextGen Gaming, Elk Studios, 2By2 Gaming, Lightning Box, Evolution Gaming, Yggdrasil, Nyx, Microgaming, Quickspin, Play'n Go, and Netent. The games are instant and available on mobile, tablet and desktop. They take the form of slots, jackpots, table games, live casino and video poker. The casino welcomes players from the United Kingdom (UK), Canada, New Zealand and Germany amongst many others. They support a number of currencies that include CAD, EUR, NZD, GBP – and many more! They also accommodate a number of different deposit and withdrawal payment methods. For a full casino review, read our full Vegas Hero casino review here.